Recent statistics by Coinatmradar reveal that Bitcoin ATMs globally have crossed the much touted 4,000 threshold. According to Coinatmradar, the current number of Bitcoin ATMs globally is 4,060, a figure surpassing the 4,000 milestone. The number is a testament to the continuous growth of BTC ATMs worldwide, despite the current plunge in cryptocurrency prices. 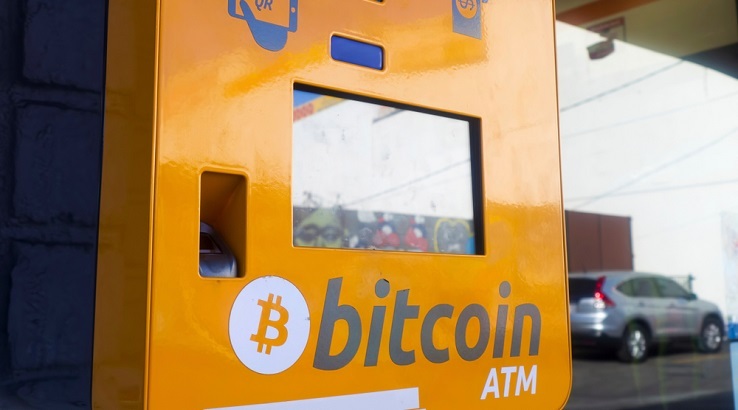 An earlier report stated that Bitcoin ATMs were almost crossing the 4,000 mark, with 3,991 BTC ATMs. Bitcoin ATM installation continues to spread across continents with North America still maintaining its number one spot. The continent controls a staggering 71.2% of the market, with a total of 2,888 BTC ATM installed. Europe, at the number two spot but far behind, has 23.7% with a total number of 961 Bitcoin ATMs. Africa is still far behind with 0.2%. The number of BTC ATMs in different countries has also increased. The United States, still on top of the BTC ATM food chain, boasts of 2,240 Bitcoin ATMs across the country. Canada holds on to second place, with a total number of 619, as against its former figure of 600 BTC ATMs. Other countries like Zimbabwe, Guatemala, Armenia, and Iceland have one BTC ATM each. The competition among Bitcoin ATM manufacturers continues to grow tough, with new entrants trying to carve a niche in the market. Genesis Coin is still the top manufacturer of BTC ATMs, controlling 31.6% of the market share. General Bytes, however, follows very closely with 30.2%, while Lamassu lags, controlling just 10.8% of the market share. The continued rise in BTC ATM numbers despite the year-long bear market is indicative of the confidence of big-money players in the sector. One of the hallmarks of a paradigm-shifting technology is its ability to remain relevant post-mania period. Across the market, there are examples of investors continuing to keep faith with cryptocurrencies despite the bear market. Recently, Nasdaq declared that it would move ahead with its planned BTC futures launch slated for 2019. According to the company, it has come too far to turn back now. Even investment firms and Trusts like eToro and Grayscale say their clients are increasing their BTC holdings. Even with the price crash that started in mid-November, Grayscale reports that its clients have an even greater appetite for BTC. Presently, the company owns about one percent of the total BTC in circulation.